“It’s not personal” – I tell myself this all the time. “It’s not about me, it’s about something bigger.” Painting a Buddha or deity is not a personal endeavor – it’s universal. When we meditate, we bring our awareness to the subtle inner work of being present and open to a flow of higher energy. It is a way of developing ourselves so that we can truly be of service to others. When you bring a piece of sacred art into your home, the deity or higher energy is moving in! As a meditator, I see the sacred art throughout my home as a reminder of the practice I did that morning and take a moment to reconnect to this higher awareness. 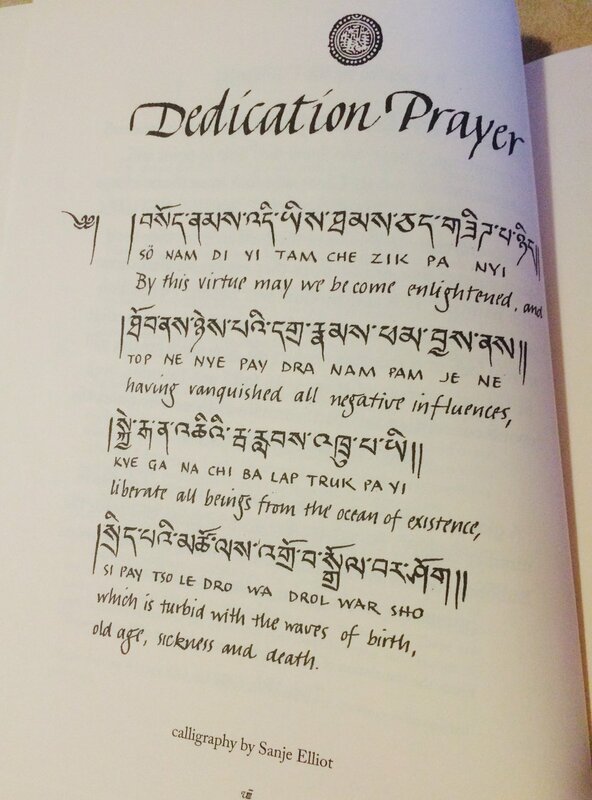 In sacred art class at Eldorado Ashram, we finish a painting session with this dedication prayer offering up the merit of our actions to the liberation of all beings. This part of class always feels like a celebration and release - because it’s not about me.